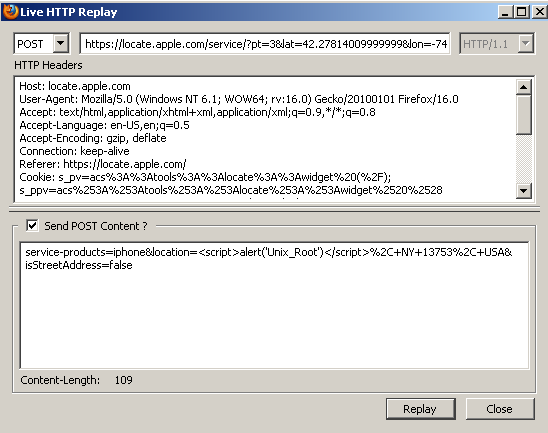 A 16 years old Spanish Whitehat hacker going by name "The Pr0ph3t" found XSS Vulnerability on Apple website. The Vulnerability reported in Apple subdomain - https://locate.apple.com, where users can choose a service center location. About Cross site scripting : Cross-Site Scripting attacks are a type of injection problem, in which malicious scripts are injected into the otherwise benign and trusted web sites. The malicious script can access any cookies, session tokens, or other sensitive information retained by your browser. This vulnerability may be used by attackers to bypass access controls such as the same origin policy. Vulnerability existence verified by The Hacker News team and its still vulnerable.